A marathon race, a sports competition, a driver’s license, a new job – what do these things all have in common? They are all things that we take time to prepare, practice, and train for. We research, read, and learn as much as we can to get ready to succeed at these events. It seems to be more common now that expecting women and their partners look to the Internet, TV or books to learn what they think they need to know about labor and birth. But I can attest to the value of an in-person childbirth class experience! 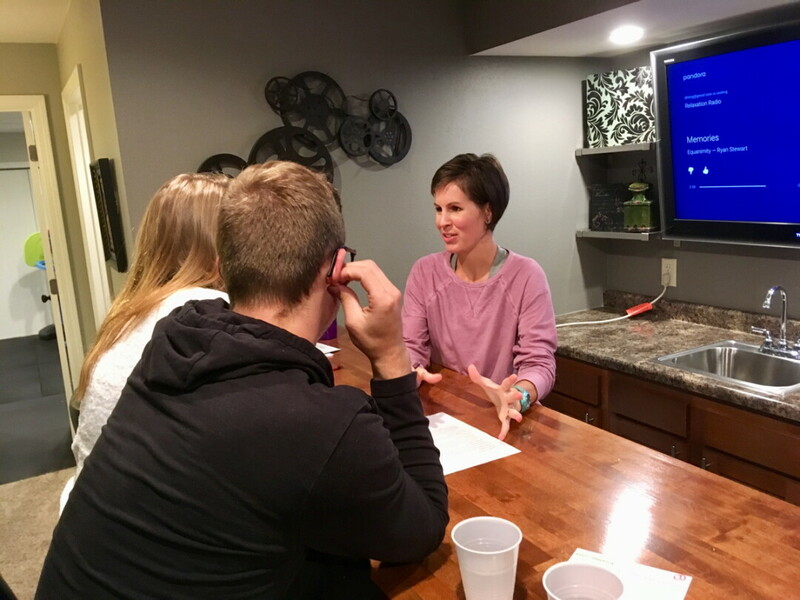 My husband and I took a private birth class before the birth of our oldest child, and now we’ve been teaching natural childbirth classes in our home for six years. More than 80 students have taken our classes, which have filled up every single time. We take 40 weeks or so to wait on baby’s arrival. Why not set aside some of those weeks to educate yourself on what to expect for labor and delivery? A birth class is especially important if you have any interest in going through labor naturally, without drug intervention. Some women may try to “wing it” and hope that all goes smoothly. However, most women have never previously experienced the kind of pain that is a serious labor contraction. With no prior practice or pain coping mechanisms to try, a natural labor can be pretty horrendous for an untrained pregnant couple. A key to laboring naturally is learning how to relax during each contraction’s wave of pain. Relaxing is often not instinctively what we do when pain hits us! Think of our Wisconsin winters: We bundle up in our coats, hats, gloves, and scarves, yet when we first step out into that freezing wind our shoulders tense up, our backs hunch forward, and we wrap our arms around our middles. And with this tensing, we often feel pain. It’s not comfortable to remain outside in the cold, all tensed up and shivering. We teach our students to think positively about the contraction pain, viewing it as making progress and bringing them closer to meeting baby! Our classes train students weekly in relaxation techniques to use during labor. This preparation helps take the fear out of labor, allowing students to confidently leave class and have great birth experiences. Will you prepare, empower and connect before the birth of your baby? Why is there value in taking a birth class? Here are our top reasons to invest in your own birth education. gives you focused weekly time to prepare for baby. is a time to get personal questions answered. helps you and your birth partner to communicate, working towards goals together. is interactive; you meet other students in a similar life phase. is engaging; class material is shared via activities and discussion versus lecturing. allows for time to practice labor positions, with a teacher to demonstrate and guide. teaches students how to make informed decisions about what’s best for their baby’s birth.